Subunit vaccines seek to zero in on and isolate “any specific part of the pathogen which has been demonstrated to stimulate a protective immune response.” Production of subunit vaccines can involve breaking apart a microbe with chemicals to collect the antigens of interest, or, increasingly, using recombinant DNA technology (gene splicing). 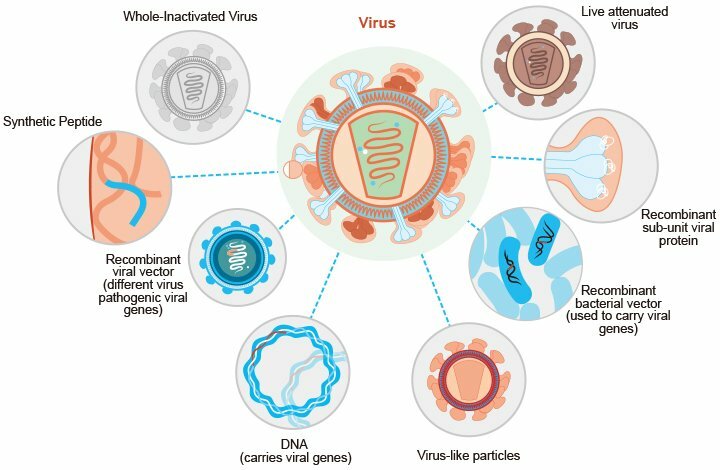 Examples of the latter are the recombinant hepatitis B and human papillomavirus (HPV) vaccines. The hepatitis B vaccine—the first synthetic vaccine put into use—is made by inserting selected hepatitis B genes into common baker’s yeast (called an “expression system”) and then using the yeast to produce vaccine antigens. (In addition to yeast, current recombinant vaccines rely on bacteria, mammalian cells or insect cells as expression systems.) Yeast-based vaccines have been linked to a rise in autoimmunitydue to the similarity between a yeast component and human glycoproteins. Moreover, because subunit vaccines provide “no guarantee that immunological memory will be formed in the correct manner,” they “demand” the use of potent adjuvants. The Gardasil-9 vaccine (for HPV) contains more than twice the amount of aluminum adjuvant as Gardasil. Pathogenic bacteria that have an outer coating of sugar molecules called polysaccharides can fool the immune system and enhance the bacteria’s ability to cause disease. Over the past three to four decades, two types of vaccines have targeted those bacteria: the older unconjugated polysaccharide vaccines and polysaccharide conjugate vaccinesthat chemically attach bacterial coat antigens to a carrier protein. The Haemophilus influenzae type b (Hib) vaccine was the first conjugate vaccine to be licensed and added to the U.S. vaccine schedule, along with subsequent pneumococcal and meningococcal conjugate vaccines. Vaccine experts promote conjugate vaccines as safe and efficacious, but Hib-related reports to the Vaccine Adverse Event Reporting System (VAERS)—a passive reporting system that captures a tiny percentage of actual adverse reactions—indicate that close to one-fifth (17%) of adverse reactions are serious, including sudden infant death and neurologic and gastrointestinal conditions.